As the song goes, Christmas time is here. Which means it’s also time for my annual survey of Christmas jazz releases, at one time an insignificant subgenre that has blossomed into a retail-driven growth industry (now true of Christmas music in general, rather than jazz in particular). And, as always, quantity is no substitute for quality ... but I’ll happily admit that this year’s new releases outpace what I found in 2000. 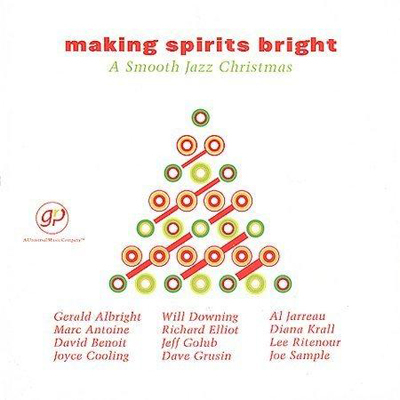 That said, the first new release that hit my CD player this season also is one of the most disappointing: Making Spirits Bright (GRP 314 549 839-2), a compilation collection produced by Lee Ritenour and Bud Harner. Expectations were high, because GRP’s three-disc Christmas Collection set, released between 1988 and 1993, remains a standard by which holiday jazz compilations can be measured. Alas, Making Spirits Bright doesn’t belong in that company; somebody seems to have mistaken the GRP label for Windham Hill. Too many otherwise nice instrumentals are drowned out by chanting choruses, monotonous (and canned) percussion, gimmicky electronic sound effects and a veritable tsunami of strings. Yes, you’ll find two genuinely nice tracks: Joe Sample’s solo piano rendition of “I Saw Mommy Kissing Santa Claus,” and Diana Krall’s “Jingle Bells” ... but the latter already has been released on her own Christmas EP, Have Yourself a Merry Little Christmas. Every time another cut threatens to become pleasant — say, Marc Antoine’s guitar interpretation of “What Child Is This?” — it’s destroyed by overwrought background twaddle. Making Spirits Bright should be fine for those who find Kenny G too challenging; despite this disc’s presence in the jazz bins, it’s anything but jazz.